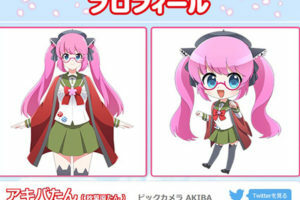 Akiba’s hobby shop KOTOBUKIYA AKIHABARAKAN – The perfect place to buy souvenirs! Kotobukiya Akihabara is a branch of a well-known figure maker Kotobukiya. 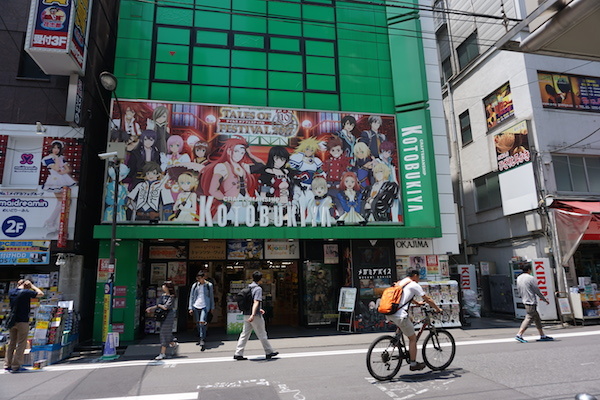 The store is completely green which makes it stand out even in colorful Akihabara. The huge advertisement above the entrance to the striking building is also very prominent. You can find out the current trends in hobby industry just by checking this ad. A huge selection of characters! 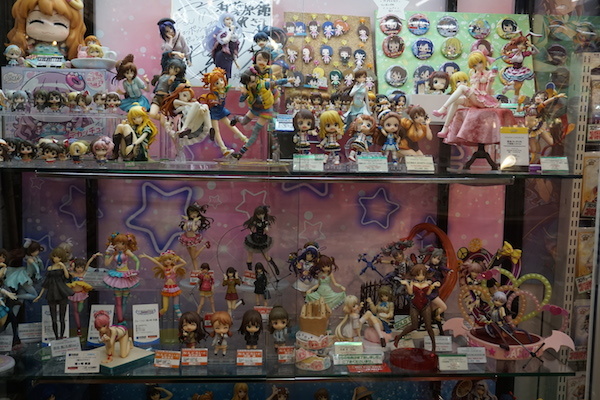 This store consists of four floors where you can find many collectible goods, like plastic models and figures. It is very easy to find what you need because every floor has a different layout. 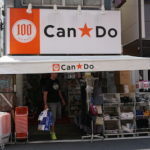 It is amazing how they manage to satisfy the needs of different customers ranging from people who enjoy character products from time to time to enthusiasts who are looking for specific products. An array of regular products! 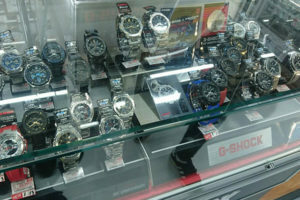 They offer the biggest selection of Star Wars products in Akihabara. If you are a Star Wars fan, you should definitely visit Kotobukiya. 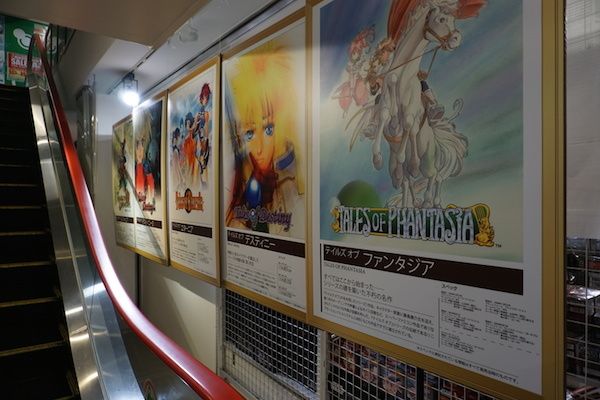 Here you can also find goods from popular franchises like Dragon Quest, Final Fantasy, and Ghibli. The 5th floor is reserved for events. 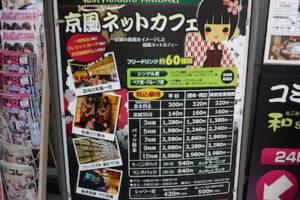 If you are lucky enough, you can catch some of the Japanese and Akihabara events. 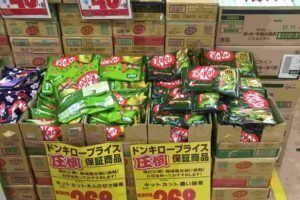 These events can also be a good way to study Japanese. You can check the information about the events online. 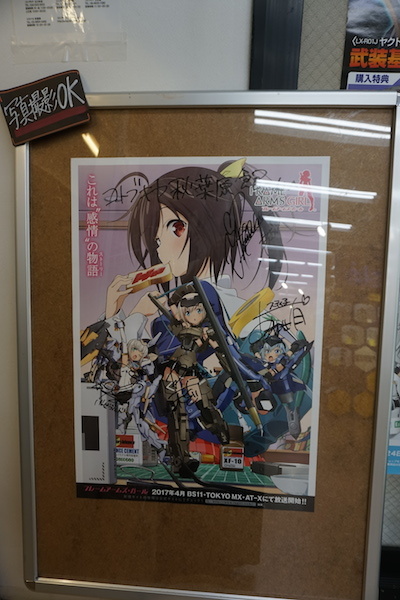 Once you visit Kotobukiya, you will keep coming back! 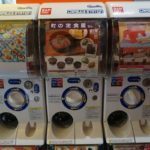 Souvenirs for Japanese character and anime lovers! 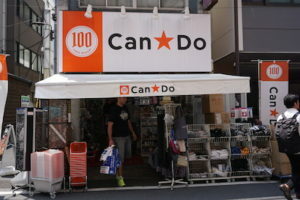 It is a perfect store for those looking for souvenirs. 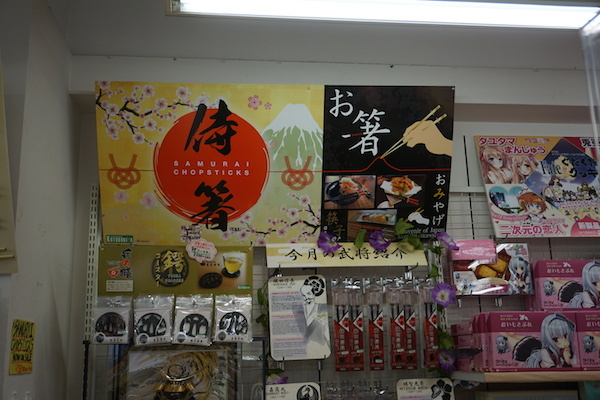 Here you can find souvenirs for your anime-loving friends, but also some typical Japanese souvenirs. 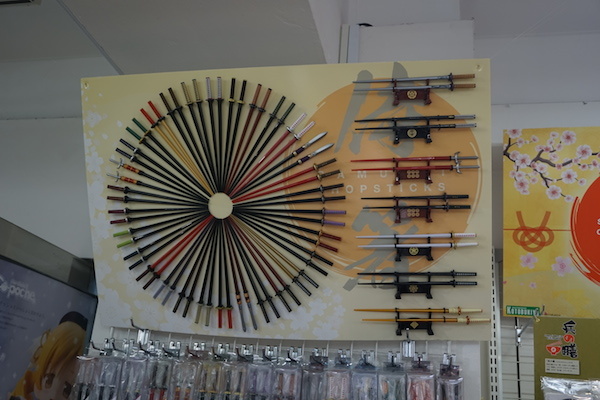 They offer a lot of affordable products like chopsticks, Japanese fans, and katana inspired items. 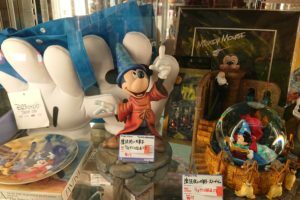 They also hold many events with limited edition products which are a great opportunity to get a hold of difficult-to-find collaboration items. 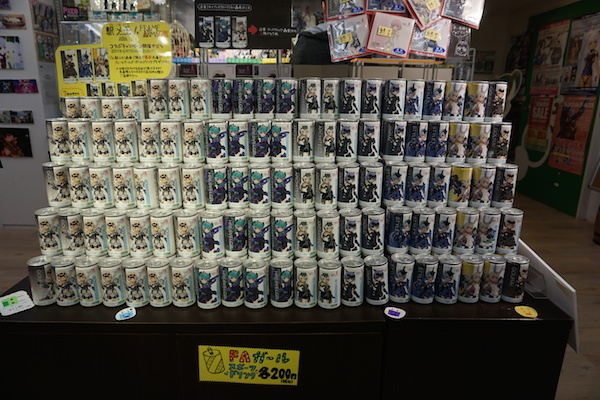 It may sound difficult to adjust your schedule to Kotobukiya, however, they hold events quite often, so you will probably be able to catch some of them during your stay in Japan. Another plus is the great location of the store. If you have the time, please check it out. Anime, manga, movie goods and Akihabara souvenirs! The flag store Kotobukiya Akihabara, managed by a hobby studio Maker Kotobukiya, is an exciting store with a big range of anime, game and movie products. 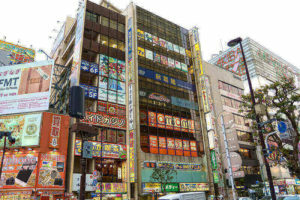 It is an enjoyable place where you can see popular items, rare figures and Akihabara souvenirs. Just look for a green building and you can’t miss it.